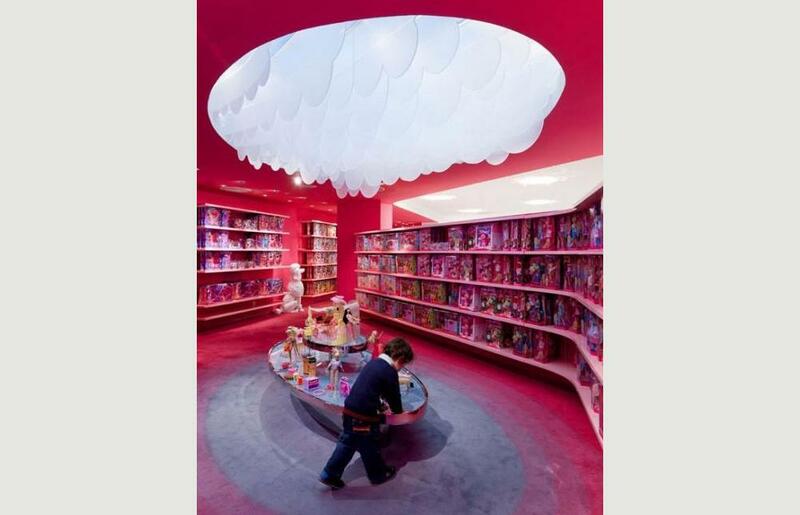 More »arbie Shanghai, located on trendy Huai Hai Road in Shanghai China, is the first-ever Barbie flagship. Opened March 6th of 2009, the 35,000 square foot store holds the world’s largest and most comprehensive collection of Barbie dolls and licensed Barbie products, as well as a range of services and activities for Barbie fans and their families. Mattel wanted a store where “Barbie is hero”; expressing Barbie as a global lifestyle brand by building on the brand’s historical link to fashion. Barbie Shanghai is the first fully realized expression of this broader vision. Barbie is an iconic brand known throughout the world. Mattel wanted to simultaneously re-focus the brand on its fashion heritage and define a global lifestyle brand. 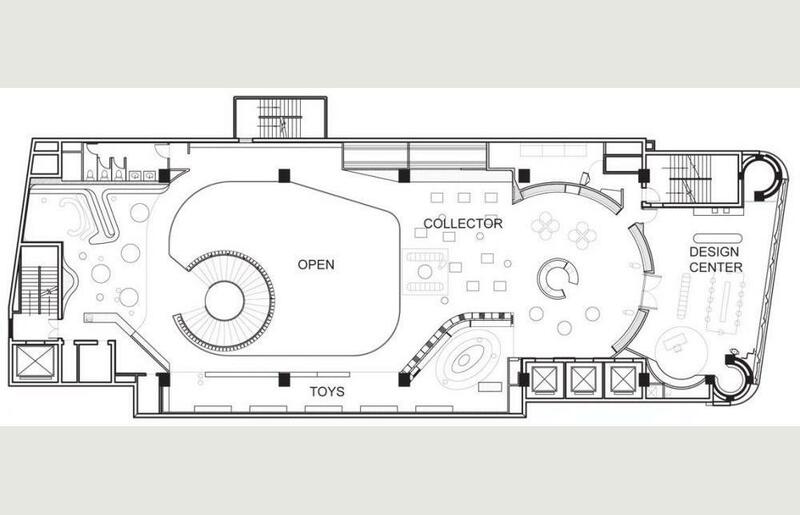 Mattel saw architecture and design as the most powerful, cost effective and meaningful way to achieve these goals and cohesively present varied Barbie branded lifestyle products from around the world; from couture dresses and cosmetics for women to shoes and toys for toddlers. Creating both a retail opportunity as a well as a Brand-building position, Barbie Shanghai brings to life, in a physical space, the connection between the Brand’s historical roots in fashion and Barbie’s unique ability to inspire girls to dream, discover and explore a world without limits. 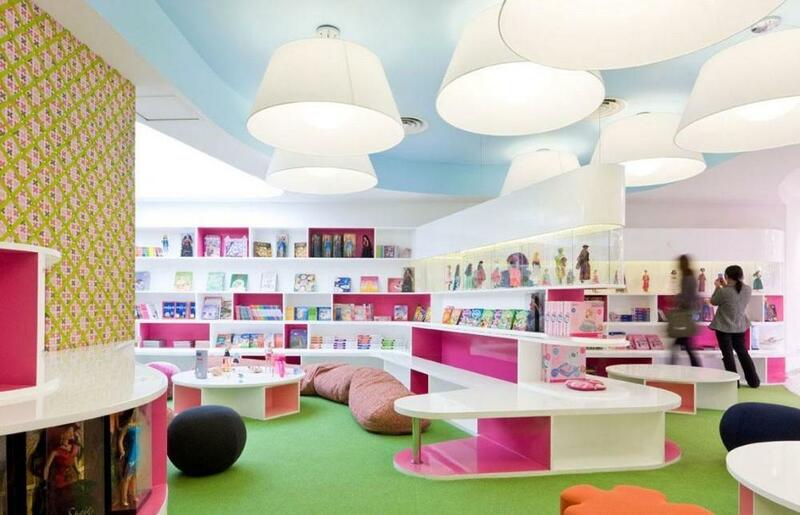 Created around the understanding that every little girl has her own personal relationship with Barbie, the store brings that emotional connection to life through a range of experiences and special services celebrating aspiration, dreams, fashion and beauty. Barbie Shanghai houses the world’s largest and most comprehensive collection of Barbie dolls and lifestyle products including fashions, cosmetics, accessories and publishing. Barbie Shanghai features a variety of activities that allow girls to express creativity in a way that celebrates girls’ individuality while connecting back to the Brand’s core values. Ranging from a Design Center where girls learn to be doll designers creating their own custom doll and design portfolio, to a Fashion Stage where girls create and show off their own outfits “pulled” from the ultimate Barbie closet, the essence of Barbie style is brought to new levels in ways girls can make their own. Celebrating the Brand’s global appeal is the Dolls of the World library where girls can see dolls representing cultures from around the world, read books that bring those cultures to life. A sophisticated pink and black restaurant created at the direction of renowned chef and chocolatier David Laris features a full menu designed for divas of all ages. Slade Architecture led the design including the exterior, interior, fixtures, and furnishings. Slade’s design is a sleek, fun, unapologetically feminine interpretation of Barbie: past, present, and future. Working with an existing structure, Slade Architecture created a new façade that combines references to product packaging, decorative arts, fashion and architectural iconography to create a modern identity for the store, expressing Barbie’s cutting-edge fashion sense and history. 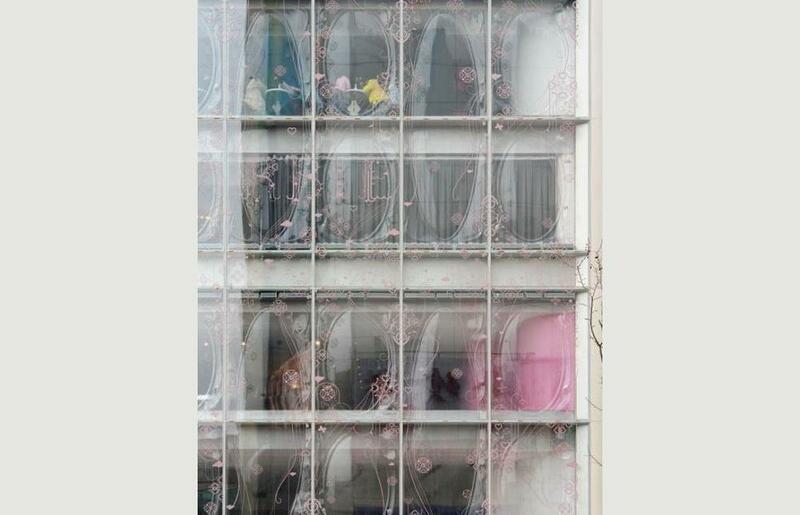 The façade is made of two layers: molded, translucent polycarbonate interior panels and flat exterior glass panels printed with a whimsical lattice frit pattern. Slade collaborated with designers at BIG, who created the final exterior frit graphics. The two layers reinforce each other visually and interact dynamically through reflection, shadow and distortion. 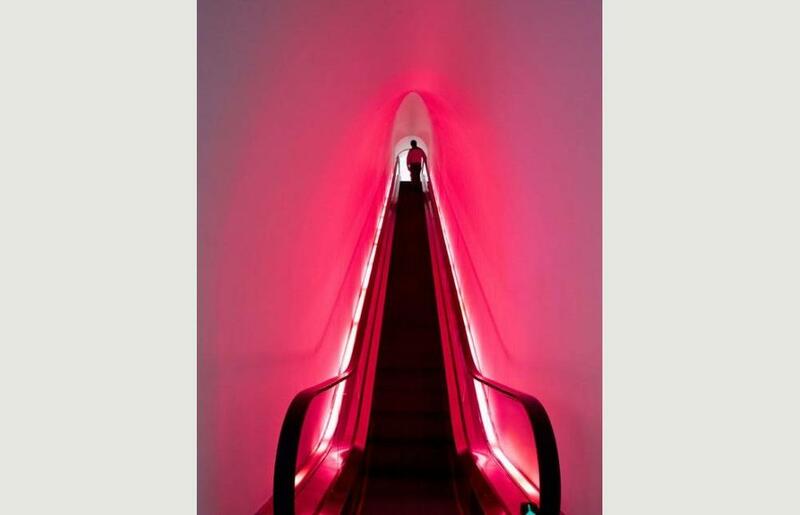 Visitors are enveloped by curvaceous, pearlescent surfaces of the lobby, leading to a pink escalator tube that takes them from the bustle of the street, to the double-height main floor. 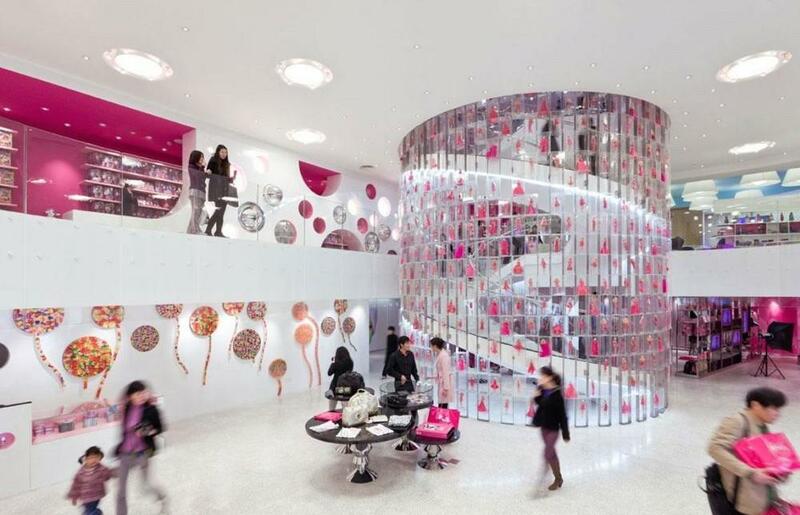 The central feature is a three-story spiral staircase enclosed by eight hundred Barbie dolls. 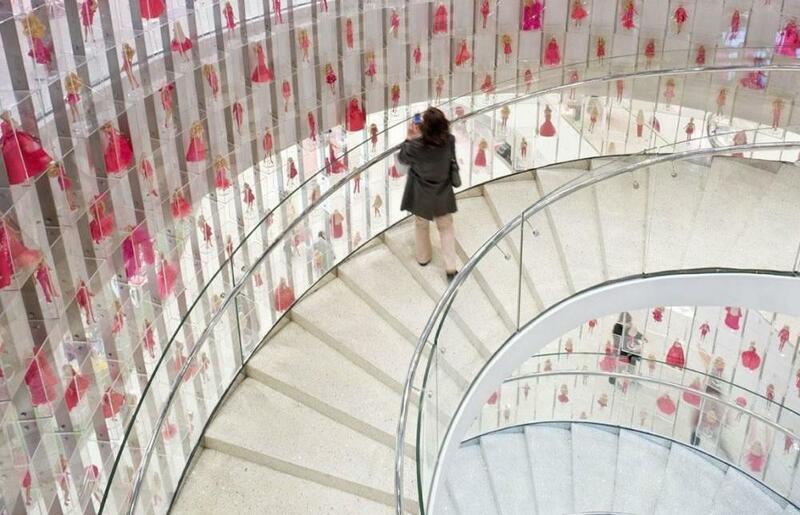 The staircase and the dolls are the core of the store; everything literally revolves around Barbie. The women’s floor (women’s fashion, couture, cosmetics and accessories). The doll floor (dolls, designer doll gallery, doll accessories, books). 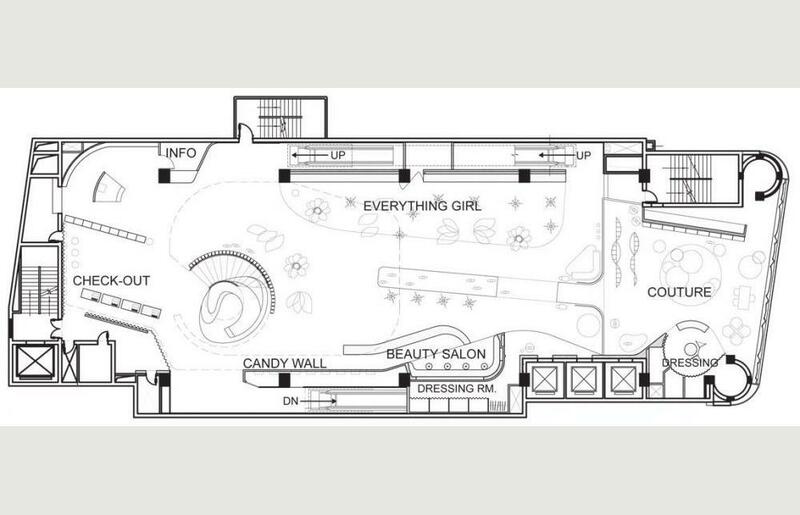 The Barbie Design Center, where girls design their own Barbie is on this floor. 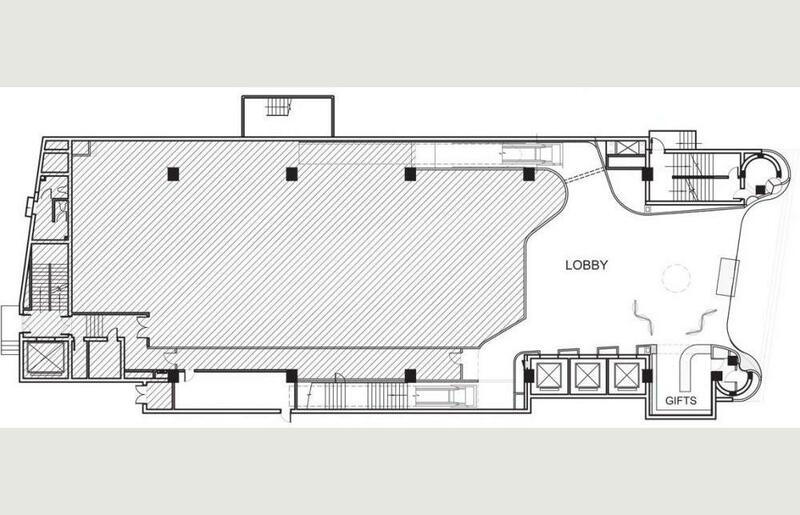 This activity was planned by Chute Gerdeman Retail and designed by Slade Architecture. The girls floor (girls fashion, shoes and accessories). 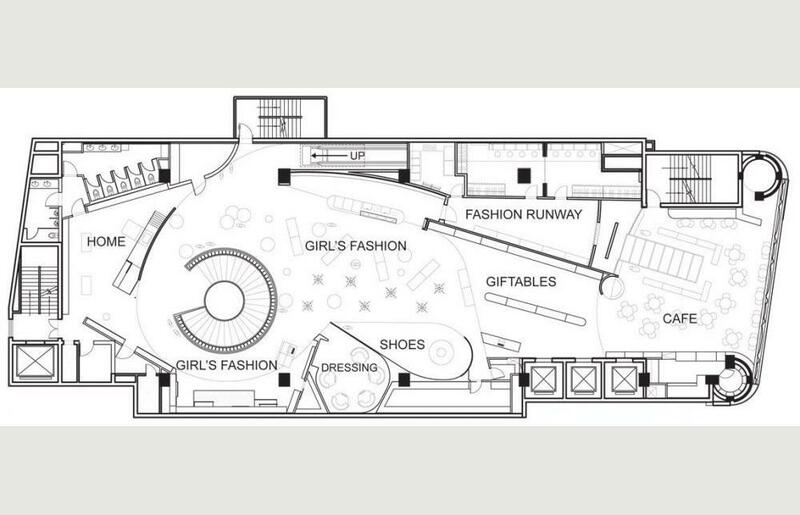 The Barbie Fashion Stage, planned and designed by Chute Gerdeman Retail, where girls take part in a real runway show, is also on this floor. 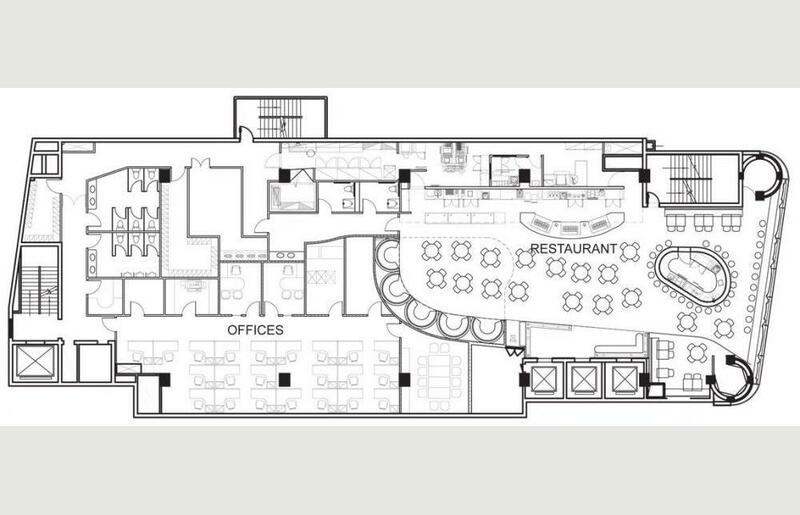 The Barbie Café, also designed by Slade Architecture, is on the top floor. Throughout the retail areas, Slade played with the scale differences between dolls, girls and women. They reinforced the feeling of youth and the possibilities of an unapologetically girlish outlook (regardless of age) by mixing reality and fantasy and keeping play and fun at the forefront – to create a space where optimism and possibility reign supreme as expressions of core Barbie attributes. The design and construction of the store took approximately two years from start to finish. The local architect was AD Incorporated, China.